Psychotherapy 101: Why Choose Therapy? New to the world of therapy? Not sure if enlisting the help of a counselor is right for you? Are you wondering how you might benefit from working with a counselor? Curious what the whole mystery of therapy is about? In both of these allegories the idea that each individual has opposing forces within which we all must learn to navigate is emphasized. The individual’s ability to choose where they put their attention in these narratives is clear, which creates a sense of autonomy and personal power. Even in cultivating an awareness of these polarities can begin to create a space in which we can cease self-judgment and begin to understand and honor the dynamics of having a Self. 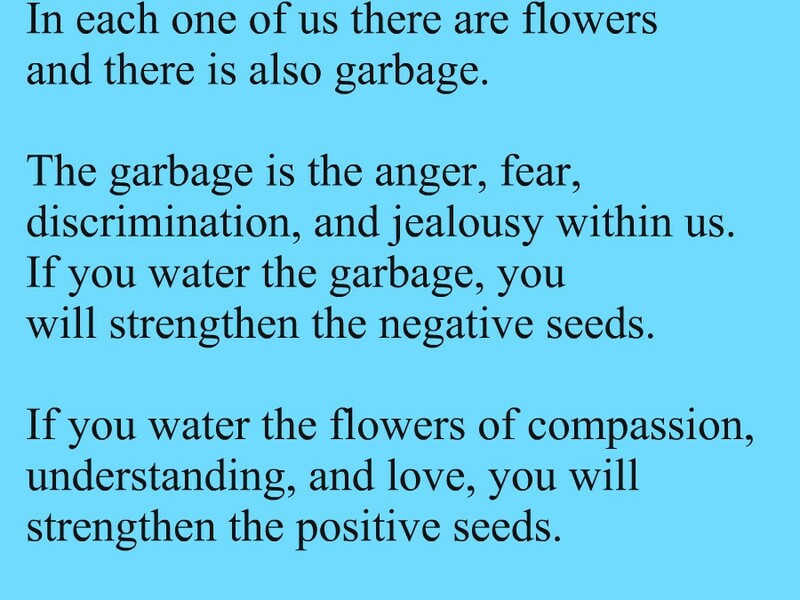 We all have these forces within. 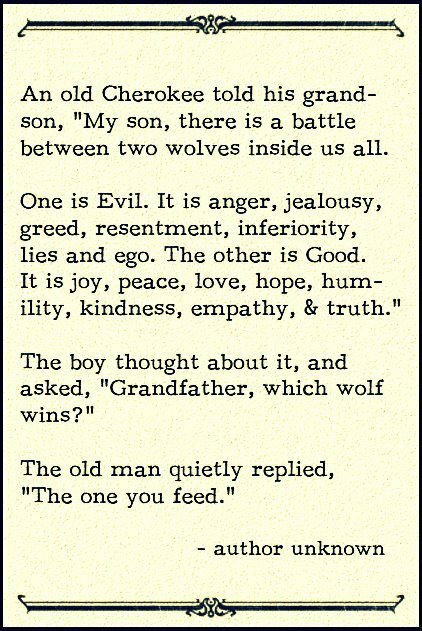 We all get to choose where we focus, how we expend our energies. In that space of freedom we can begin to explore our options, and choose according to our values instead of acting out of habit. 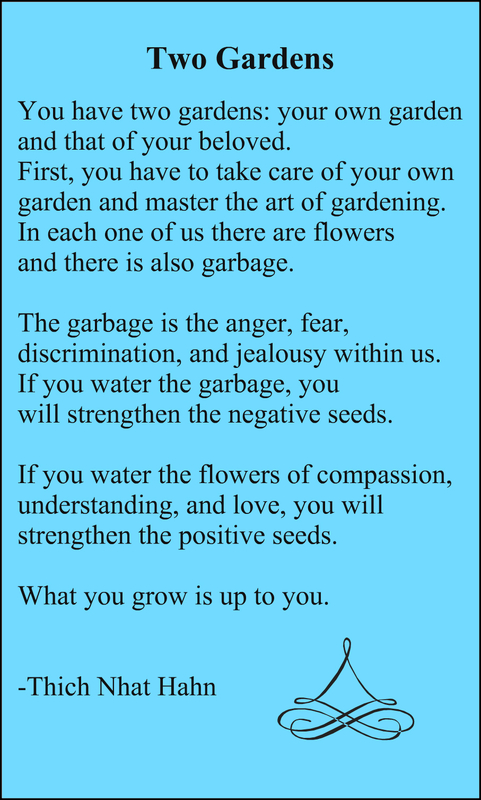 In his book, Thich Nhat Hahn expands upon this idea of dual gardens within and also uses the ‘two garden’ metaphor as it applies to relationships. 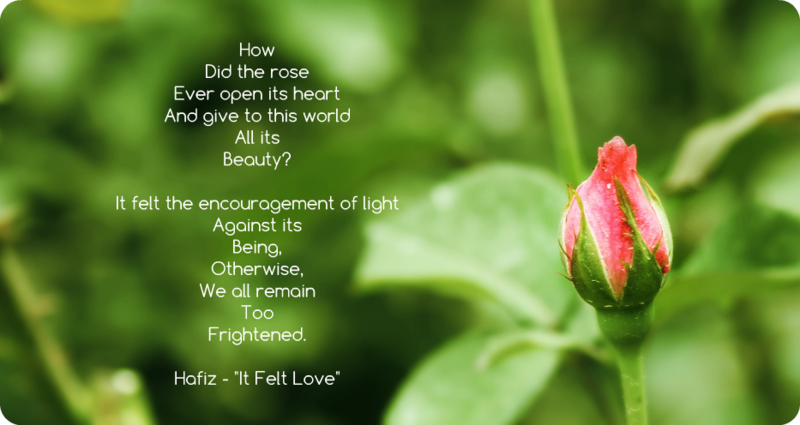 He encourages each of us to not only nourish the garden of kindness and compassion within but to also see those qualities in our beloved and through the process of ‘selective gardening,’ to foster their qualities of inherent goodness, kindness and love. 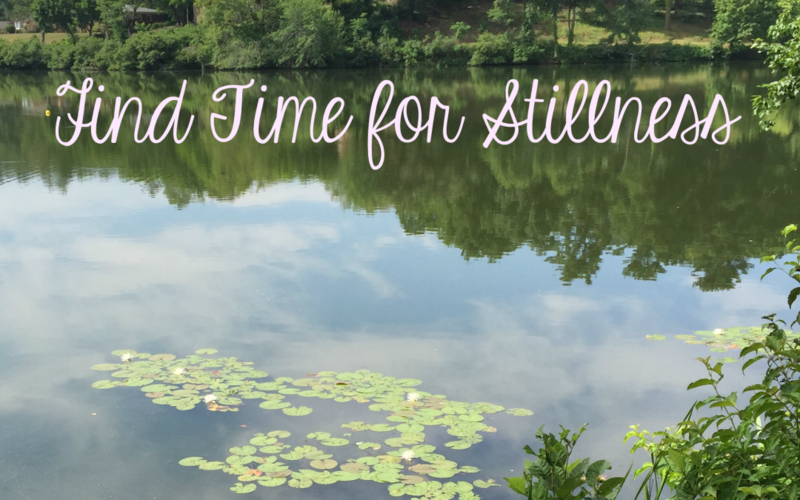 The healing benefits of nature + stillness are immeasurable, especially for sensitives. Taking time to reconnect with oneself is an investment in your own wellbeing. May this simple message serve as a reminder to take the time to slow down, breathe, and come home to the beauty and truth of your experience. I recently read the 1996 National Bestseller The Highly Sensitive Person: How To Survive When the World Overwhelms You by Elaine N. Aron, PhD. Although I had known that this book existed for several years, I had only recently made it a priority to read, and only wish that I had done so sooner! As a Highly Sensitive Person, or HSP, myself, I found Aron’s work to be both comforting and insightful, and I would highly recommend this accessible and informative book to people who suspect that they may be highly sensitive, love someone who is highly sensitive, or work in any healing capacity with the highly sensitive. 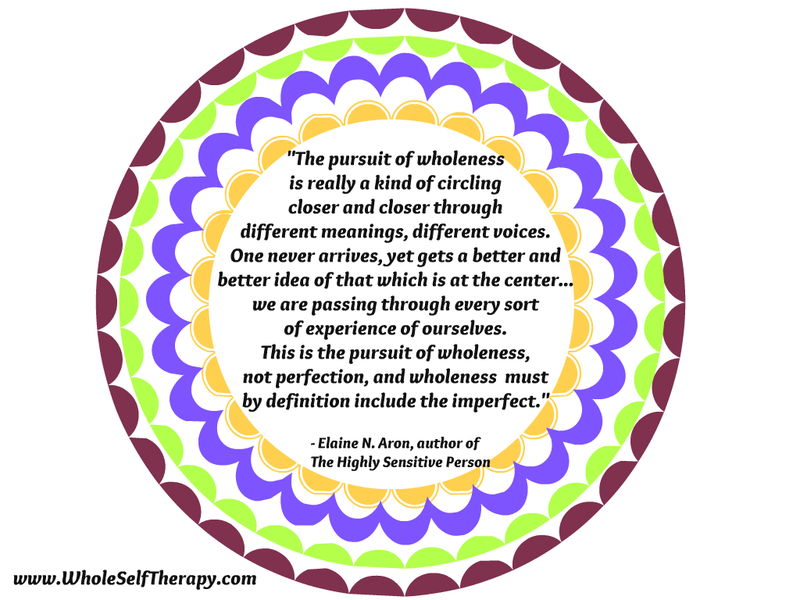 Over the past week I have been reminded, on several occasions, of the importance of acceptance on the road to healing. Situations with friends, colleagues, clients, and life circumstances have echoed with reverberations of how holding on to fixed ideas about outcomes, trying to control things over which we have no power, and harboring negative or painful thoughts bring about suffering on every level. 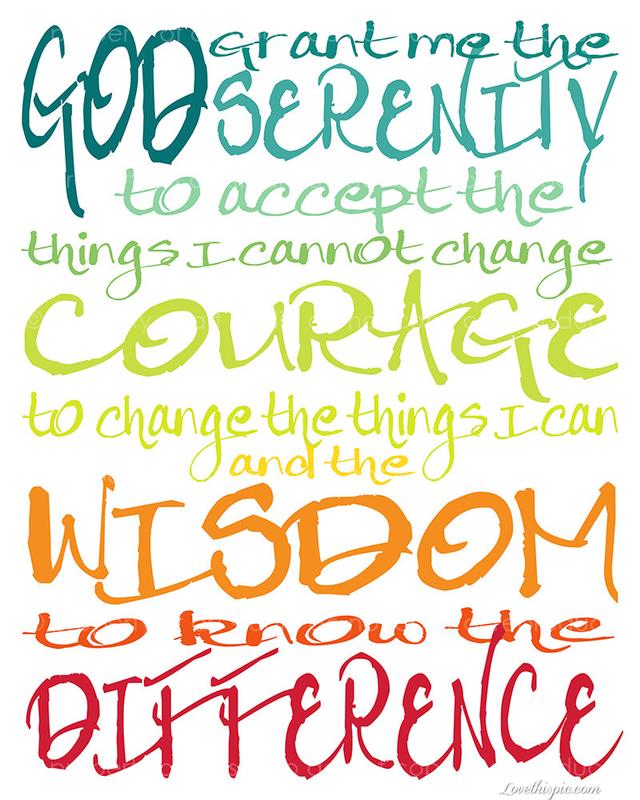 While The Serenity Prayer has been used widely in Alcoholics Anonymous and Narcotics Anonymous circles, I feel that it is applicable to everyone who struggles with letting go from time to time, which, in my understanding includes everyone. Coming home to the wisdom of this simple yet meaningful prayer can be profoundly transforming when we incorporate it into our lives.